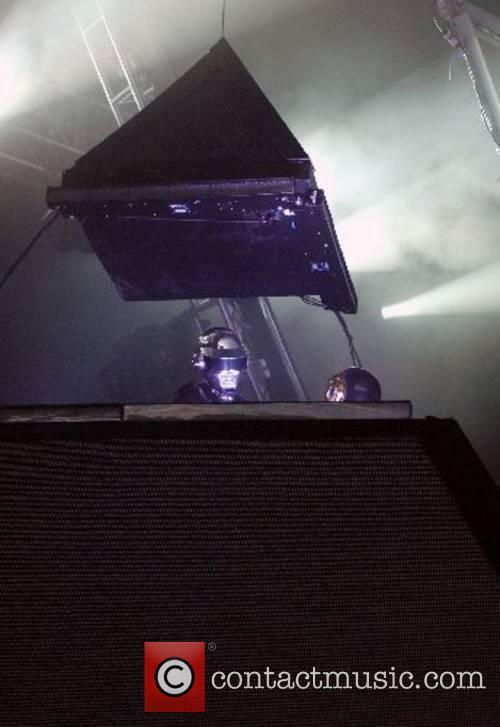 Here's how Ed managed to get that 'band' sound during his closing set. Despite the fact that he has just completed an excellent closing set at Glastonbury Festival, Ed Sheeran has still found himself the victim of a whole load of criticism for it. Whether he's been accused of using a backing track, or simply not being Glasto material. Ed Sheeran certainly doesn't deserve the amount of hate he's getting for his headline performance at Glastonbury 2017, but thankfully he appears to be taking it all in his stride. And, let's face it, it's hardly going to have a negative effect on his career. The Stone Circle at Glastonbury saw thousands attend the unofficial attempt. Up to 15,000 festival-goers are believed to have converged on the Stone Circle at Glastonbury this week to create the world’s largest human peace sign. Organisers of the massive annual festival estimate that 15,000 punters and staff gathering at the Stone Circle, considered the spiritual centre of the festival, to make an unofficial bid to have the most people ever to form a peace symbol. The record is held by a 2009 gathering of 5,814 people who stood together at the Ithaca Festival in New York. Because of practicalities, that record won’t be broken as so many people can’t be counted in the time period imagined. Sheeran will headline the Sunday night of the festival, alongside previously announced bill-toppers Radiohead and Foo Fighters. Arguably the worst-kept secret in the music industry has been confirmed: Ed Sheeran will indeed be playing this year’s Glastonbury Festival as the third and final headliner. The 26 year old megastar, whose newly-released third album Divide was released at the start of March, will be headlining on the Sunday night alongside previously announced headliners Radiohead (Friday) and Foo Fighters. Confirming the news in a short Instagram film, Sheeran himself described the opportunity to headline the most prestigious festival in the world as “awesome”, and it brings to an end months of speculation as to who the final headliner would be. The full line-up of the 2017 Glastonbury Festival will be announced in the near future. A day after the public-edited site Clashfinder came up with a purported full timetable, complete with stage times, for Glastonbury 2017, co-organiser Emily Eavis has dubbed it "fake news". Glastonbury Festival organiser Emily Eavis has denied that the ‘leaked’ line-up for the 2017 edition of the event is real, slamming it as “fake news” and assuring fans that the real line-up will be announced in the very near future. Over the weekend, music fans saw a spreadsheet of the supposed finalised line-up and stage schedules of Glastonbury 2017 on the public-edited site Clashfinder. So far, the only confirmed performers have been two of the three headliners, Radiohead and Foo Fighters, but the purported line-up included the likes of Lorde, Haim, Royal Blood, Craig David, Stormzy and even the legendary Kraftwerk. Continue reading: Emily Eavis Says 'Leaked' Glastonbury 2017 Line-Up Is "Fake News"
The band join Radiohead on this year’s bill at Worthy Farm. Foo Fighters have been confirmed as this year’s Glastonbury headliners, two years after being forced to pull out of the festival when singer Dave Grohl broke his leg. The band will headline the festival’s Saturday night, with Radiohead already confirmed to top the bill on the Friday and the Sunday headliner yet to be revealed. 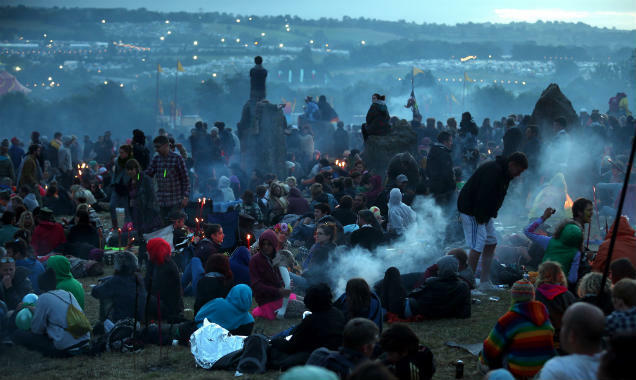 Michael Eavis claims that the 2019 edition of Glastonbury Festival will take place "towards the Midlands". Glastonbury founder Michael Eavis has announced that the festival will temporarily re-locate to another site nearly 100 miles away in 2019, in order to allow the land at its longstanding home at Worthy Farm a second year to recover. While he was not specific about the site to which it would be moving, Eavis told the BBC on Monday (December 19th) that it would be “towards the Midlands”. A proposed move to Longleat was believed to have fallen through earlier this year, so speculation is rife as to the location that's being planned. Sheeran and Foo Fighters are the red-hot favourites to join Radiohead at the top of the bill at Glastonbury Festival 2017, according to new reports. Having made a tentative return to social media earlier this week after the best part of a year off, Ed Sheeran is reportedly on the verge of landing the biggest gig in music – a headline slot at Glastonbury Festival. Sources told The Sun on Thursday night (December 15th) that the 25 year English star, who had one of the world’s biggest selling albums of the last couple of years with his sophomore effort X in 2014, is set to be unveiled as the second headliner on the iconic Pyramid Stage in July next year. Radiohead will headline the Friday night of the 2017 Glastonbury Festival, on June 23rd. Radiohead have been officially confirmed as the first headliners at the 2017 Glastonbury Festival, after a number of rumours strongly suggested that they would be one of the three bill-topping acts. Fans desperately trying to score tickets on Sunday morning were met with technical problems. 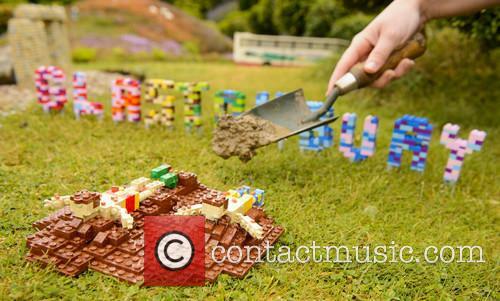 Next year’s Glastonbury Festival has already sold out, with tickets being snapped up within an hour of going on sale. But it wasn't smooth sailing for fans trying to purchase tickets, as website SeeTickets crashed shortly before the 9am onsale time. 15,000 coach + ticket packages sold out in 23 minutes when they went up for sale on Thursday night. Pre-released coach and ticket packages for next year’s Glastonbury Festival sold out in just 23 minutes when they went on sale last night. Up to 15,000 tickets were bought up when the travel packages, which include tickets to the festival, went on sale on Thursday evening (October 6th) at 6pm. Delighted fans who got lucky expressed their joy on social media, but many disappointed people voiced their dismay at the ticketing system. Registration for Glastonbury tickets closed on October 3rd, and the annual bunfight that is the general sale for the remainder of the tickets happens this Sunday (October 9th). Glastonbury will also have a fallow year in 2018, with no decisions made about where it will be based in the future beyond that. It may the biggest and most prestigious music festival in the world, beloved by millions of revellers, but the long-term future of Glastonbury is reportedly under threat, with its founder Michael Eavis quoted as saying he “fears” it may not have a home after 2017. It has previously been indicated by the Eavis family that safety concerns about a pipeline running underneath Worthy Farm has meant that a move to Longleat Safari Park in nearby Wiltshire has been under negotiation. However, a report in The Telegraph on Monday (September 12th) quotes Eavis as saying that talks with the estate have broken down. Adele swore 33 times during her Glastonbury headlining set earlier this year. She’s as famous for her potty mouth as she is for selling millions of records, but Adele has vowed to try and curb her swearing. 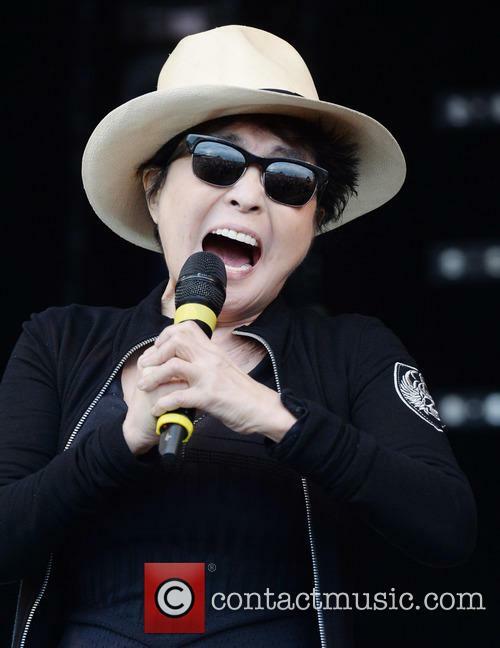 The ‘Hello’ singer managed to swear a massive 33 times during her Glastonbury set this year, which was broadcast live on the BBC with viewers pre-warned to expect bad language. Will Ed Sheeran Be Headlining Glastonbury In 2017? After a quiet 2016, Ed is said to be gearing up for a massive 2017. Ed Sheeran is reportedly in talks to headline next year’s Glastonbury Festival as part what’s going to be a massive 2017 for the singer. 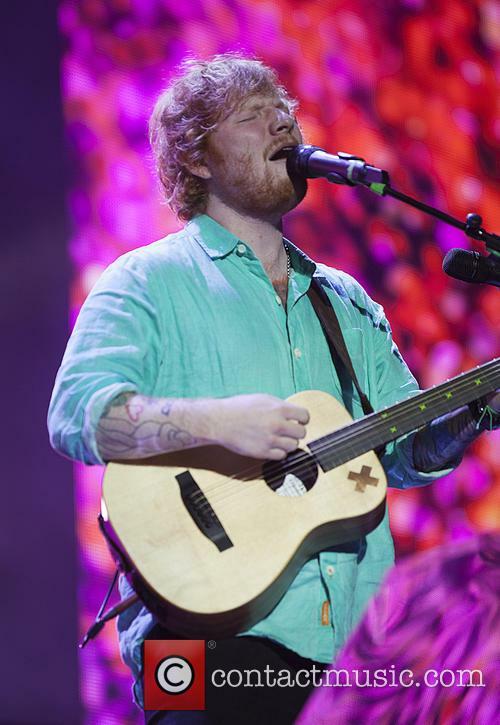 Sheeran is currently on a nearly year-long career break, after spending the last five years recording and touring, but next year reportedly promises big things from him, including a new album and a Glastonbury headlining slot. Could Ed Sheeran be headlining Glastonbury in 2017. 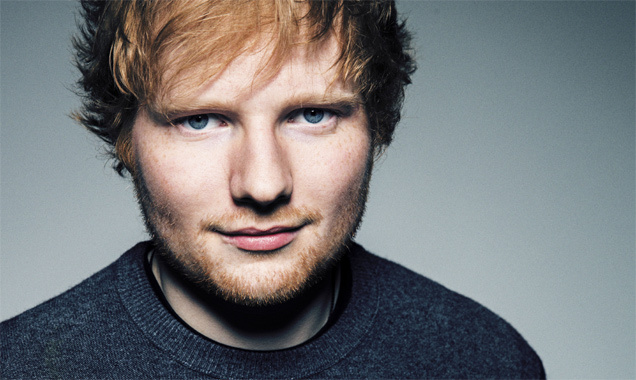 Continue reading: Will Ed Sheeran Be Headlining Glastonbury In 2017? ’25’ is once again on top of the UK album chart. Thanks to her show-stopping headlining performance at Glastonbury last weekend, Adele’s third album 25 has returned to the number one spot in the UK albums chart. The album enjoyed a huge surge in sales (up 231% from last week) thanks to her Glastonbury appearance, which was streamed live on the BBC and watched by over 3.5 million viewers. Adele’s 25 is back at number one following her Glastonbury set. 25, which was released on November 20th 2015, has now spent 13 weeks at number one in the UK. Its rise up the charts this week was also helped by it finally being made available on streaming services last Friday (24 June). 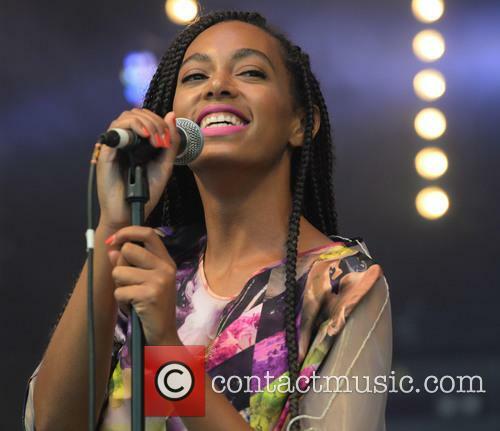 The singer played the festival’s Pyramid Stage for the first time over the weekend. Singer Ellie Goulding called on the public to “carry the spirit of Glastonbury home” with them when she played the festival’s main stage over the weekend. Goulding had previously tweeted that she was ‘heartbroken’ over the result of the EU Referendum, which hanged heavy over the annual festival all weekend. Ellie Goulding shared her thoughts on Brexit during Glastonbury. “I know things have been a bit weird the past few days. Actually that’s an understatement,” she told the crowd. “But it is so nice to be in a place where there is so much unity and where everyone is so happy and friendly and dancing together and laughing together and loving each other." Coldplay paid tribute to the band during their Glastonbury headlining set. On Sunday night Coldplay used their headlining slot on Glastonbury’s Pyramid Stage to pay tribute to Viola Beach and give them the festival moment they never got to have. During their set, singer Chris Martin urged the crowd to send the band’s song ‘Boys That Sing’ “up the charts”, before playing it alongside a recording of the band. Harvey dropped the ‘C-bomb’ on ‘Loose Women’ in May, during a segment about online bullying. Katie Price has said she is “proud” of son Harvey, after a flag was flown at the Glastonbury Festival over the weekend, showing his response to online bullies. In May Harvey appeared alongside his mother on ‘Loose Women’ where he said his answer to people who were mean to him was “hello you c***”. Katie Price is proud that son Harvey made it on to a Glastonbury flag. Adele put her nerves aside to deliver a powerful, emotional and honest performance on the Pyramid Stage. On Saturday night (June 25) Adele finally took to Glastonbury’s Pyramid Stage to headline the festival for the first time in her career. 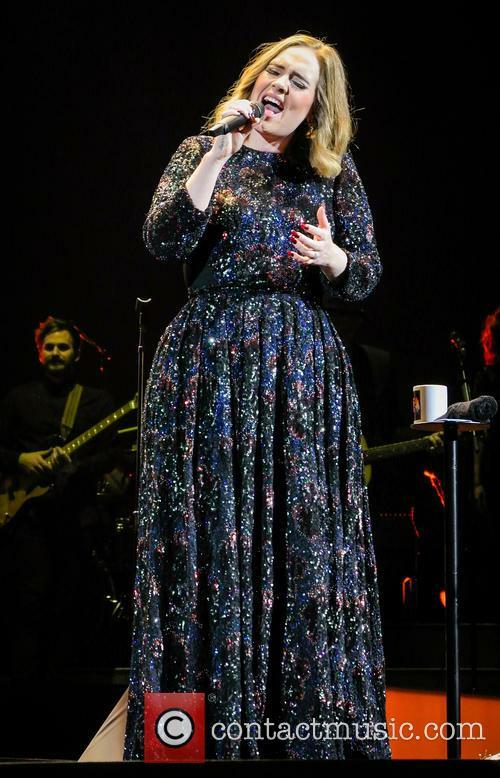 Opening with ‘Hello’, Adele treated the crowd to a set which was both emotional and uplifting and resulted in one of the festival’s biggest ever sing-a-longs. 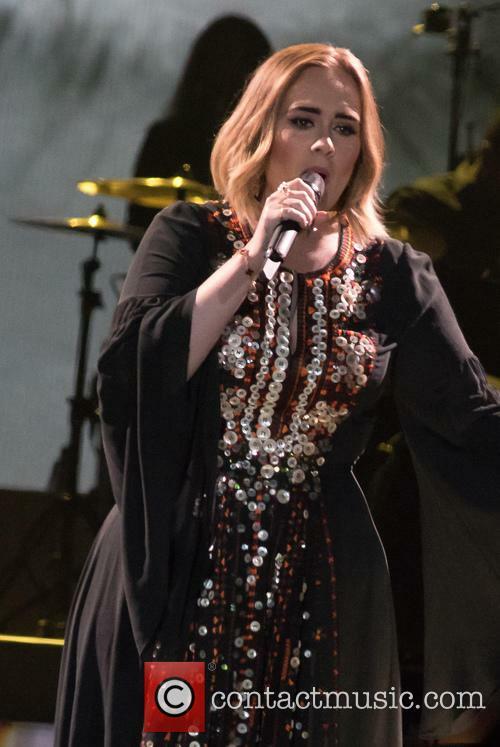 Adele headlined Glastonbury on Saturday night. Changing ‘Hello’s’ lyrics to fit the festival Adele sang "I've been Glastonbury dreaming”, to huge cheers from the crowd. Once the ballad ended she told the sea of revellers, "I'll just have to go straight into another one my darlings, cos I don't know what to say to you yet,” before going into ‘Rumour Has It’. Adele is set to headline Glastonbury’s Pyramid Stage for the first time today (June 25). Adele is preparing to headline Glastonbury Festival for the first time ever today, taking to the Pyramid Stage just after 10pm. For fans who aren't lucky enough to be there live, the performance will be broadcast on BBC Two, who will be warning viewers that some bad language is to be expected. Adele will headline Glastonbury tonight. According to the Mirror, the BBC will broadcast a warning ahead of Adele’s headlining set, telling viewers to expect “strong language”. Fans of Adele know that the singer is no stranger to using four letter worlds during her often emotional sets. 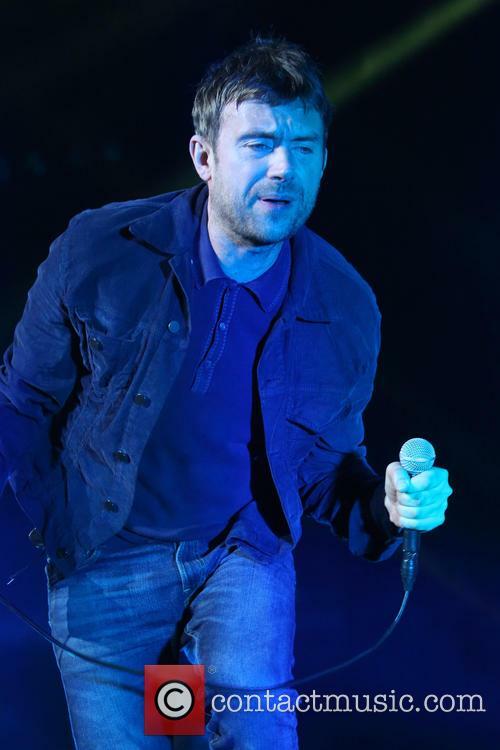 Damon Albarn Tells Glastonbury "Democracy Has Failed Us"
The Blur frontman addressed Glastonbury revellers as the UK voted to leave the European Union. Blur frontman Damon Albarn has said, “democracy has failed us”, after the results of the historic referendum came in, showing Britain had voted to leave the European Union. Albarn joins a host of celebrities who have expressed their dismay over this morning’s results, including Harry Potter author JK Rowling. Damon Albarn has told Glastonbury, “democracy has failed us”. Continue reading: Damon Albarn Tells Glastonbury "Democracy Has Failed Us"
Muse's Matt Bellamy: "Something Will Go Wrong During Glastonbury Set"
The Muse frontman is prepared for anything when the band headline the Pyramid stage tonight (June 24). Muse frontman Matt Bellamy is preparing for his band to headline Glastonbury’s Pyramid stage tonight, for the third time in their career. Bellamy says the band are ready for anything, including something going wrong on the night, saying Muse has learnt to “embrace the chaos” of huge live gigs. 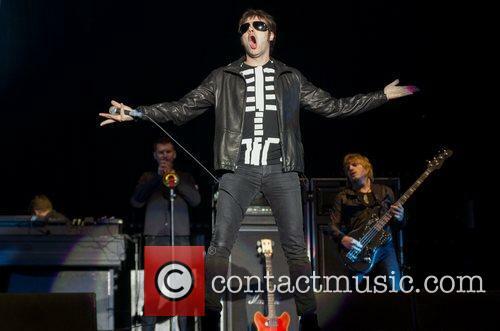 Speaking to The Telegraph, Bellamy said: "Really, the stage is not yours. There are so many components that are unpredictable and out of your control, so there is no one to blame if anything goes wrong, which it will. 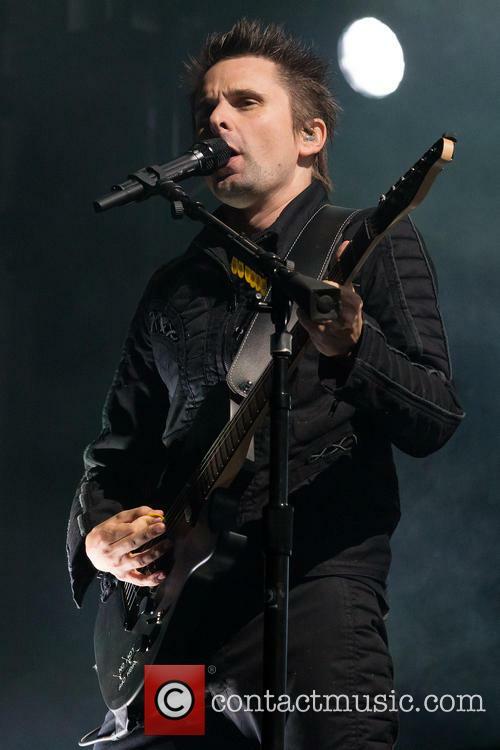 Continue reading: Muse's Matt Bellamy: "Something Will Go Wrong During Glastonbury Set"
The worst opening for the Pilton festival yet? Glastonbury Festival goers are facing a major traffic crisis as they make their way down to Worthy Farm in Somerset for the biggest greenfield event in the world. The musical line-up doesn't even kick off until Friday, but already people are flocking in their thousands and bringing a whole load of congestion with them. Today (June 22nd 2016), Glastonbury 2016 opened and with it came gridlock. People have been queuing for more than 12 hours to get onto the site, with some even abandoning their cars to go and set up their tent. However, that's not been an easy job either as it's revealed that extremely muddy conditions and torrential rain are what's causing the delays. The ‘Purple Rain’ singer had previously been rumoured to be topping the bill in 2014. Glastonbury organiser Michael Eavis has revealed that Prince was close to performing at this year’s festival, which will now be headlined by Adele, Coldplay and Muse. Speaking to The Sun, Eavis said he was sad to learn of Prince’s passing last month, saying he was a ‘real star’ the festival had never had. 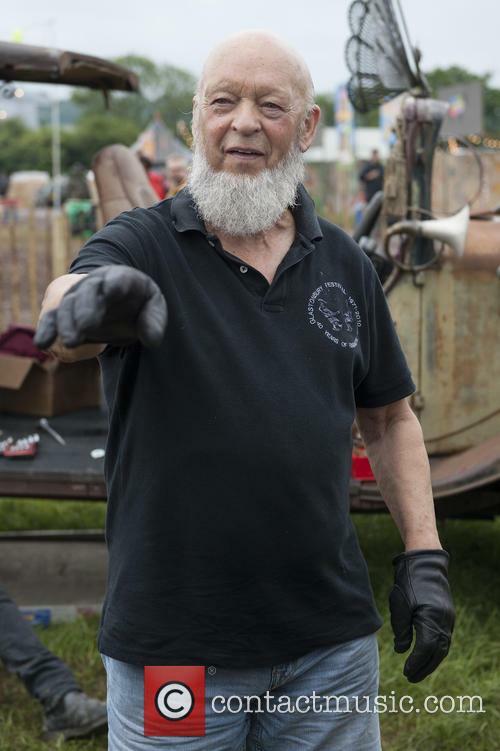 Michael Eavis has said Prince was ‘in talks’ to perform at this year’s Glastonbury. “I was going to meet his agent, it was all planned but it didn’t happen,” Eavis said. “His death was so sad. That’s a real star that we never had.” Prince had previously been close to headlining the festival in 2014, before Metallica took the spot. The festival's organiser Emily Eavis told the BBC that plans were afoot to pay tribute to Prince, as well as to David Bowie. Glastonbury Festival is planning a tribute to Prince, in addition to its confirmed plans to commemorate the late David Bowie next month. The festival’s organiser Emily Eavis told the BBC on Wednesday (May 4th) that a metal sculpture in the shape of a lightning bolt, inspired by the iconic cover art of Bowie’s 1973 album Aladdin Sane, will hang above performers on the Pyramid Stage. Massive acts such as Adele, Coldplay and Muse are set to grace the main stage as headliners at the three day festival at Worthy Farm, Somerset, in late June. 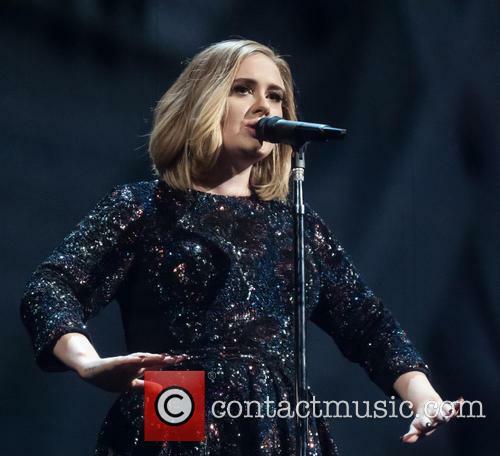 Adele had previously admitted she was scared of the festival’s huge crowds. Muse have invited their fellow Glastonbury headliner Adele to join them onstage during their Friday night slot, in a bid to help her overcome her nerves. Adele will headline the festival for the first time on the Saturday evening and has previously said she was scared of performing in front of the huge crowds. Muse have invited Adele to join them on stage at Glastonbury to help overcome her nerves. Corbyn will join Billy Bragg on his Left Field stage at the festival this summer. Labour leader Jeremy Corbyn has accepted an invitation to speak at this year’s Glastonbury Festival from the Campaign for Nuclear Disarmament. 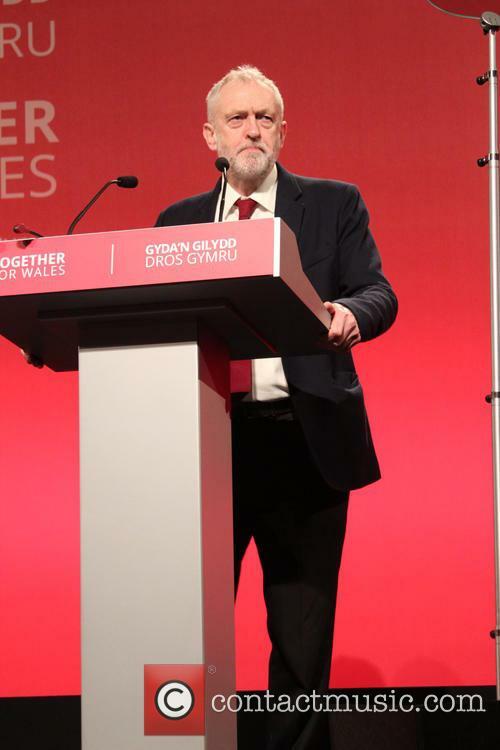 Mr Corbyn will speak out against plans to renew the controversial Trident programme and call on the government to ban the bomb in front of the crowd of 135,000 music fans. Jeremy Corbyn will appear at this year’s Glastonbury festival. A Glastonbury source told The Mirror: “Jeremy has accepted the invitation from the Campaign for Nuclear Disarmament to speak. It’s a fabulous coup for them.” Corbyn will appear alongside festival regular and political activist Billy Bragg on his Left Field stage. Festival announcement pranks are always the best. At least, we hope it's a prank. The folks at Glastonbury have an important announcement: Florence Foster Jenkins will perform on the Pyramid Stage for the 2016 festival in the form of a hologram. Yep. You heard us right. The legendary soprano will resurrect her extraordinary vocal prowess once again. What better way to celebrate April Fool's Day than by sharing news that the world's worst opera singer will return from the dead as a special guest this summer? It's been announced that she will join the likes of 2Pac, Bob Marley and Michael Jackson in the ever-growing list of historic holographic performances following the release of the 'Florence Foster Jenkins' biopic starring Meryl Streep which is out this Spring. The acts that will be joining Adele, Coldplay and Muse this year have been revealed. 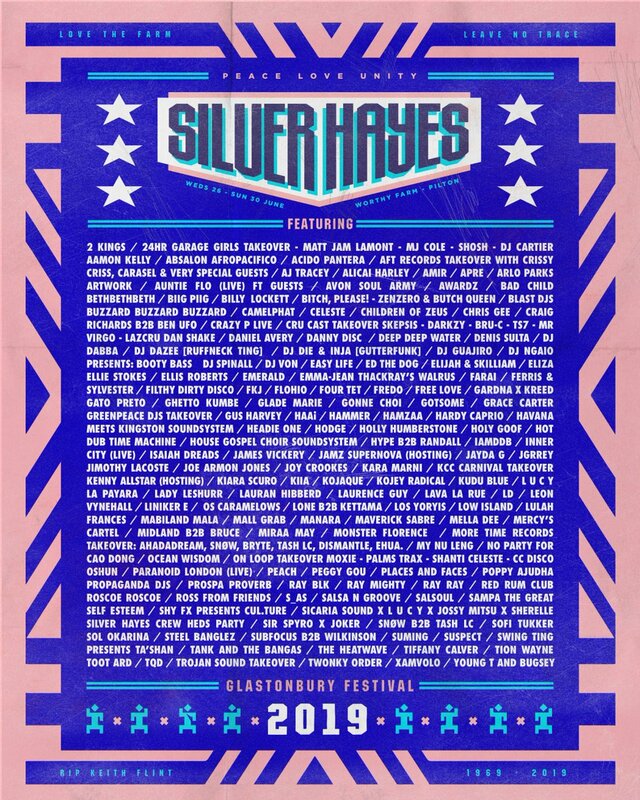 Glastonbury has unveiled its first line-up poster for the annual festival, which will take place this year from June 22nd to 26th at Worthy Farm. The newly confirmed acts will join already announced headliners Muse, Adele and Coldplay, with a further 800 acts to be announced on a second poster in the coming weeks. It’s that time of year again: the annual rumour mill of who is going to be making appearances at Glastonbury, plausible or otherwise. Although the three Pyramid Stage headliners have been revealed – Muse on Friday, Adele on Saturday, and Coldplay rounding things off on Sunday – there are literally several hundred other slots to be filled on the numerous other stages. The Sunday afternoon ‘legends slot’ has also already been confirmed, with ELO set to entertain the crowds. However, there are always rumours flying around during the festival itself as to who’s going to be making low-key, surprise appearances. 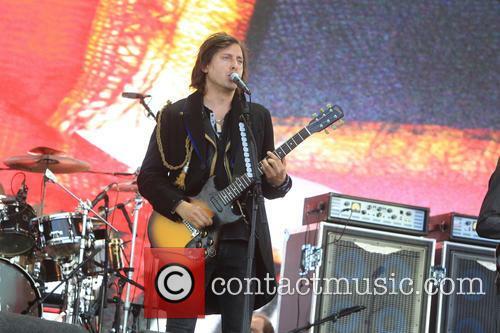 The reformed Libertines did so last year, appearing at the Pyramid Stage. So, are there any major names that might do this in 2016? Adele will headline Saturday night on the Pyramid Stage at this year’s festival. Glastonbury organiser Emily Eavis has said it’s a ‘great honour’ to have Adele headline this year’s festival. On Friday night Adele broke the news that she was the final headliner for Glastonbury 2016, while on stage at London’s O2 Arena. It will be the first Glastonbury appearance for Adele, who will headline on the Saturday evening. Adele will headline the Saturday night of this year’s Glastonbury. On twitter Eavis wrote: “What a great honour it is to have the wonderful Adele confirmed for this year's Saturday night headline spot on the Pyramid Stage!” Earlier this year, in an interview with I-D magazine, Eavis had said Adele would be a ‘great fit’ for the festival. The singer confirmed the rumours during a show in London. Adele has been confirmed as the final headlining act for this year’s Glastonbury Festival, taking the Saturday night slot on the Pyramid Stage. The singer made the announcement during her sold-out show at London’s O2 Arena on Friday night, with the news later being confirmed by festival organisers. Adele is the final headlining act for this year’s Glastonbury festival. 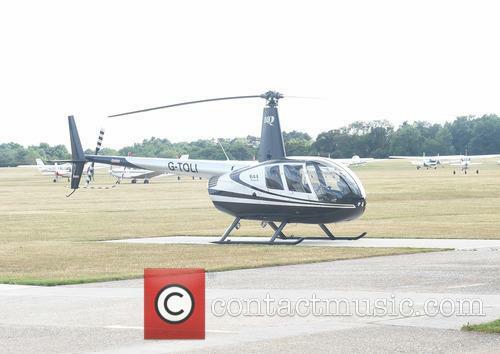 The Sun reports that Adele told the sold-out crowd: "Who's going to Glastonbury this year? See you there. I'll be there. I'll be headlining on the Saturday night this year.” Rumours had been swirling for weeks that Adele could be the final headliner, but the singer had previously said she was too scared of the big festival crowds. The eagerly anticipated Glastonbury 2016 line-up continues to unfold as PJ Harvey is announced as the Other Stage headliner on Sunday evening - facing Coldplay on the Pyramid Stage and complimenting Jeff Lynne’s ELO, performing in the Sunday afternoon ‘legends’ slot. PJ Harvey will be taking to the muddy fields for her first Glasto performance in 12 years after she took to the stage at the iconic festival in 2004. The British band were announced as the first headliners for this year’s festival earlier this week. A petition has been launched on change.org in reaction to Coldplay’s headlining slot at this year’s Glastonbury Festival. 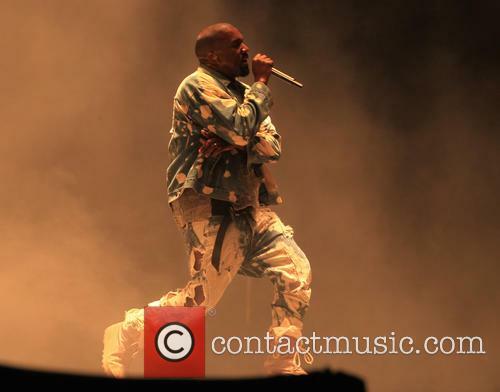 But the British rock band need not worry about it yet, as the petition is actually a joke, meant to highlight the ridiculousness of the one started last year when Kanye West was announced as headlining the festival. Do you want Coldplay to headline Glastonbury? 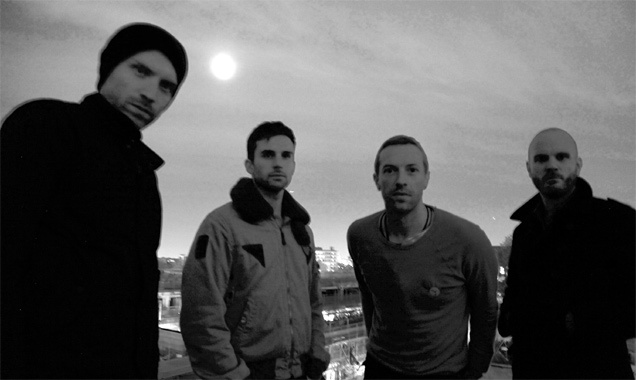 Coldplay Finally Confirmed As First Glastonbury 2016 Headliners! The band announce billing with unambiguous Tweet. The rumours are true! Coldplay have just been confirmed as the very first headliners for Glastonbury 2016 after months of speculation. Further line-up additions are yet to be announced but are expected to feed into public consciousness throughout the Spring. The gig will mark Coldplay's first and only festival date of the year. The 'Adventure of a Lifetime' singers will be headlining the legendary Pyramid Stage at Glastonbury Festival 2016, with a confirmed date of June 26th; the Sunday. The show will be the band's fourth appearance at the UK event, having previously performed in 2002, 2005 and 2011. Their presence will be very much welcomed after the massive success of their 2011 set, which was subsequently voted Top Glastonbury Moment of all time on BBC Radio. 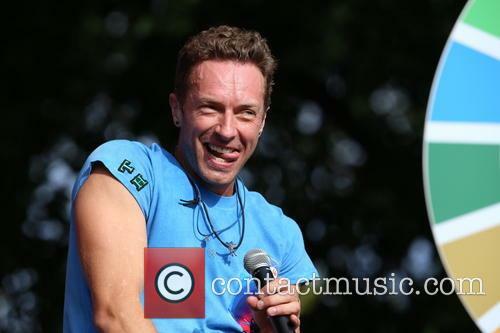 Continue reading: Coldplay Finally Confirmed As First Glastonbury 2016 Headliners! Is Glastonbury At Risk From The Gas Main At Worthy Farm? This year's event may have to be moved for the first time in forty years. 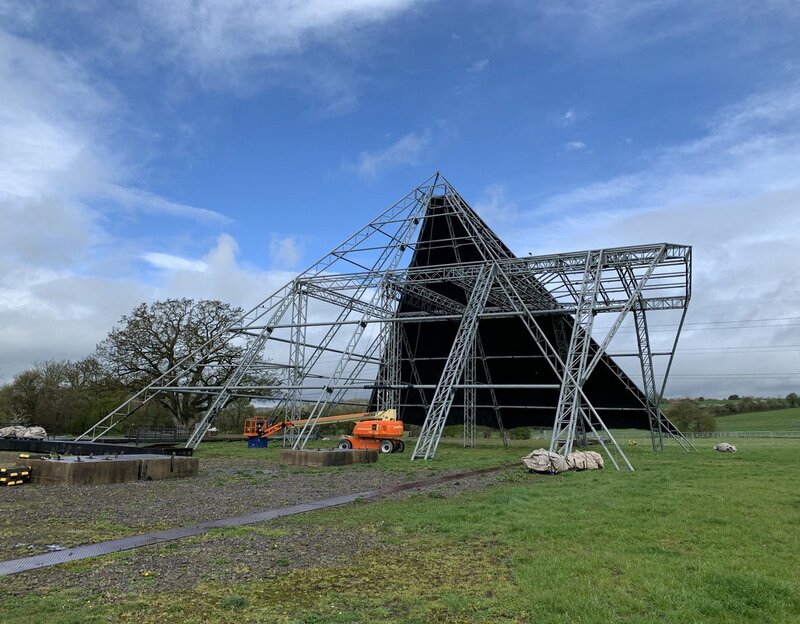 Glastonbury Festival could turn into Gas-tonbury according to new reports suggesting the event may have to be moved away from its usual venue of Worthy Farm due to increasing fears over a gas main running through the site. Let's hope the happy campers don't get too over-excited this year. Continue reading: Is Glastonbury At Risk From The Gas Main At Worthy Farm? Eavis said she believe ‘there are enough headliners for at least another 15 years’ of the festival. Glastonbury co-organiser Emily Eavis has revealed that next year’s line-up is already ’80%’ sorted. Eavis was giving a winter update on the annual festival to the BBC, where she also revealed some exciting new developments that visitors can expect in 2016. 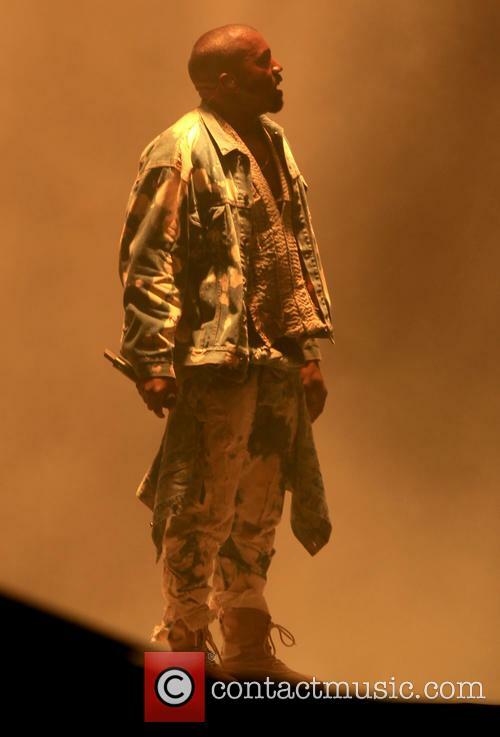 Last year’s headliner, Kanye West. "We are about 80% of the way there already. We are so lucky at the moment to have so many huge bands touring and wanting to play,” Eavis told the BBC. “That's one of the reasons we are doing a festival in 2017 - we already have the headliners pencilled in for that too, which is unusual." Foo Fighters are playing Glastonbury 2015. 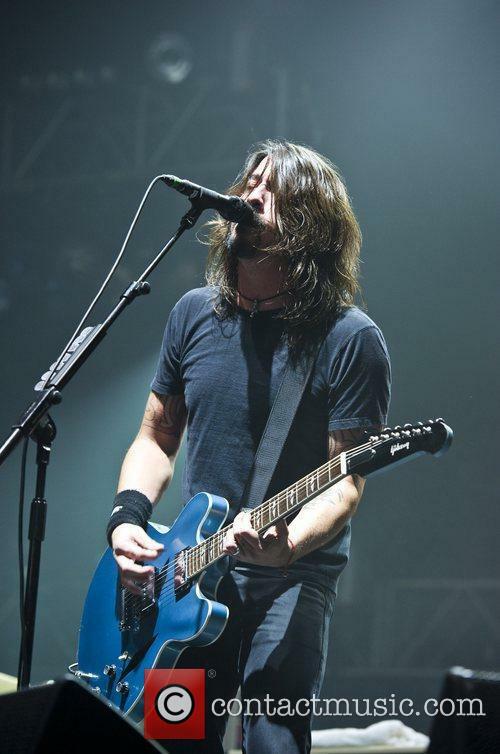 US rockers Foo Fighters have self-confirmed to play Glastonbury this year after being named best international band at the NME awards on Wednesday night. 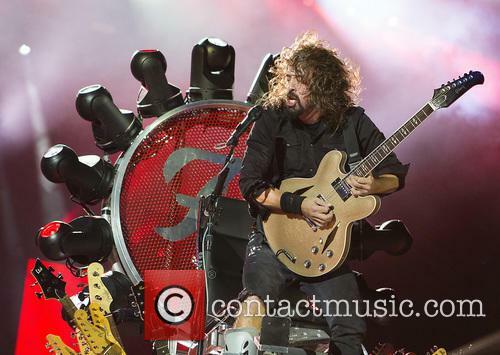 Frontman Dave Grohl revealed the news in a video message recorded for the audience at the Brixton Academy. "Thank you Chrissie for presenting this award to us.This is amazing, we love you very much, but we also love all of the fans for voting for our band for this award. We're very thankful and very happy - sorry we couldn't make it tonight, but we will be seeing you over the summer at some big outdoor festival that nobody knows we're playing. It's Glastonbury! So we'll see you at Glastonbury - thanks a lot everybody!" he said. Mick Fleetwood rules out any chance of headliners, but Dave Grohl is eager to be given the chance. Glastonbury speculation time! Two bits of news have emerged in the last 24 hours that have changed the minds of opinion-formers as to who will be headlining the 2015 edition of the wildly popular British festival. First of all, Fleetwood Mac’s Mick Fleetwood has categorically denied that his band will be headlining the festival. Speaking on Chris Evans’ BBC Radio 2 programme, he said "One of the things that I'd like to clear up is that we're not playing Glastonbury. A lot of folks think that we are, so loud and clear: We love Glastonbury and all the surrounding history of such a lovely festival but we're not playing it." This squelches rumours that have been doing the rounds since May after Christine McVie said “if Michael Eavis provides the wellies I’ll be there”. Just when you thought it was impossible to love Dolly Parton more, the 68-year-old country star has turned out to be a knight in shining armour for one abandoned Glastonbury dog. Dolly the Dog, named after Parton, is being cared for at an animal shelter but the RSPCA warns animal abandonments are on the rise and many others are not so lucky. 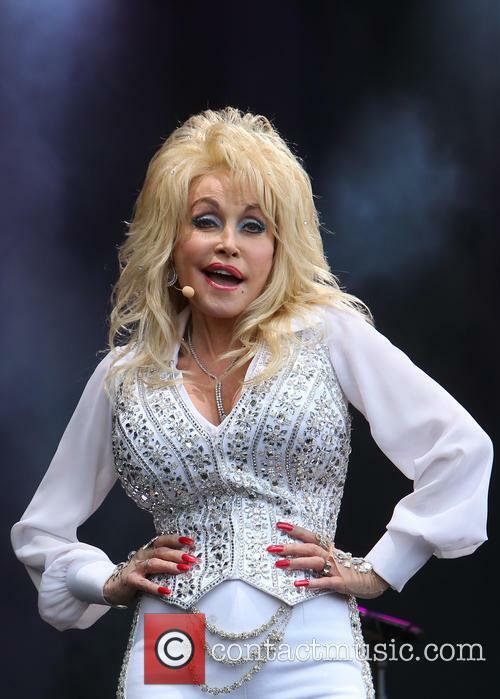 When "sweet natured, older lady" Dolly was discovered at the Glastonbury Festival (28th-29th June), hidden in a small tent with little food and no water, we all assumed something had gone horribly wrong for the headlining country music icon. Dolly Parton performing at Glastonbury on Sunday 29th June. Read More: Q.1) Did Dolly Parton Mime At Glastonbury? Q.2) Should We Care? Could Prince Still Play Glastonbury? 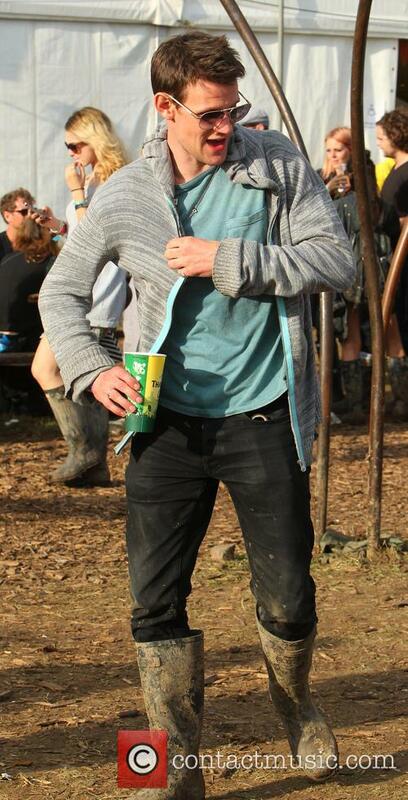 Rumours continue to circulate after Glasto boss reveals the Purple One’s reason for pulling potential headline slot. Festival goers could still party like its 1999 this weekend, as rumours that Prince could still appear at Glastonbury continue to surface. As we previously reported, it was revealed this week that negotiations to book the funk legend for a Worthy Park headline slot broke down after the star got cold feet following ‘social media rumours’ about his appearance. However, tabloid reports suggest that the ‘Purple Rain’ singer could still appear at this weekend’s event. Continue reading: Could Prince Still Play Glastonbury? Here's why Prince pulled out of Glastonbury. Glastonbury Festival organiser Michael Eavis has revealed that Prince pulled out of playing this year’s event because of “social media chit-chat”. 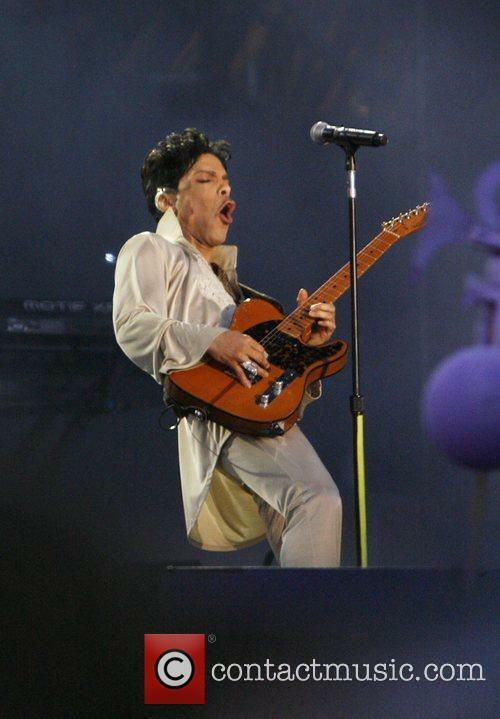 Prince had agreed to play the historic festival but became angered when the planned performance was seemingly leaked to bookmakers, who slashed the odds of the Purple one headlining. Stuff you can do with WiFi-gratis. 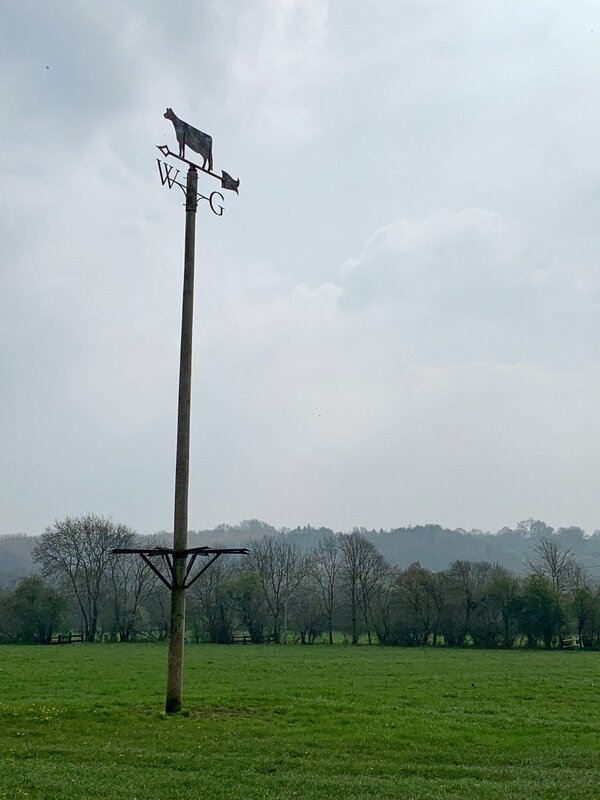 Glastonbury revellers will be able to enjoy free wifi this year thanks to a heard of special cows dotted around the festival. The EE cattle won’t be hard to spot. Artist Hank Kruger decorated them and he, seemingly, had little creative license as each one bears the company colours of turquoise and yellow. Should Metallica Be Removed From Glastonbury Headline Slot? Singer James Hetfield’s bear hunting might have something to do with it. Over 14,000 people have signed an online petition to have Metallica removed from this year’s Glastonbury line up. But why? Is the idea of ‘Enter Sandman’ ringing out across the festival fields really just too much for some to handle? Well maybe, but the actual reason why a petition has been launched to ban the rock giants is to do with one of frontman James Hetfield’s more questionable hobbies. When he’s not fronting Metallica, singer James Hetfield hunts bears, he’s also a member of America’s National Rifle Association and is set to narrate an eight-part TV series called 'The Hunt', documenting the killing of Kodiak brown bears in Alaska. Unsurprisingly, animal rights activists are outraged at the singer’s after work activities and have called for the band to be pulled from the festival. Continue reading: Should Metallica Be Removed From Glastonbury Headline Slot? 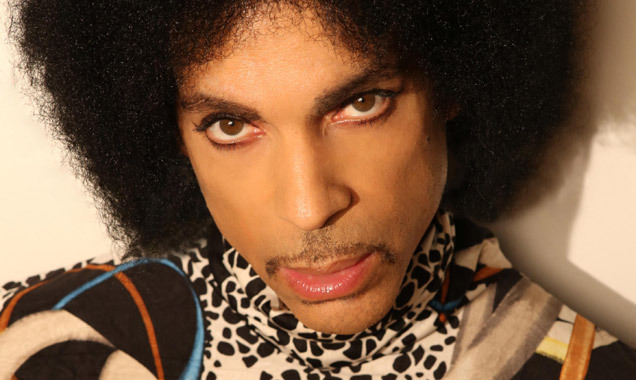 Prince Live: Three More Shows In U.K, Is He A Glastonbury 2014 Headliner? When Prince played a set of guerrilla gigs in the U.K last February hysteria ensued. The legendary rocker has a novel approach the way he announces – and plays – his live shows. And we wouldn’t be surprised if the “special guest” at this year’s Glastonbury Festival turns out to be The Purple One. Headliner’s just too obvious. According to The Guardian, who have an exclusive on this, Prince has scheduled three shows. Birmingham on 15 May, Manchester on 16 May and Leeds on 23 May, but, in true Prince no one knows which venues, or even whether he'll be playing with his band, 3rdEyeGirl. 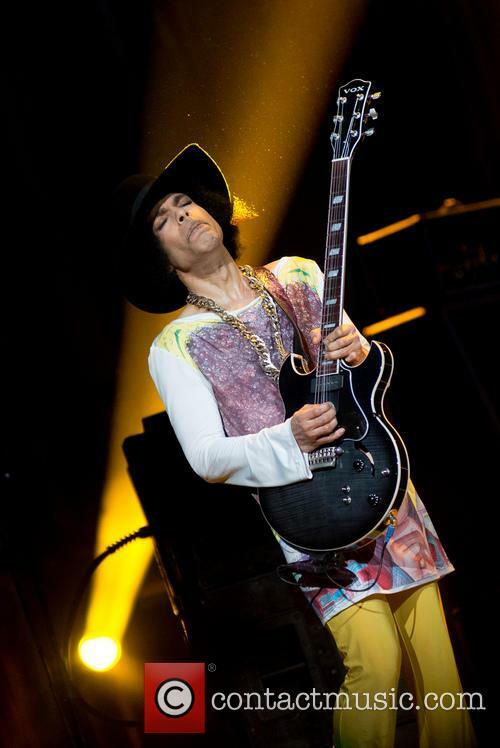 Continue reading: Prince Live: Three More Shows In U.K, Is He A Glastonbury 2014 Headliner? Did Liam Gallagher's tweets hint at an Oasis reunion at Glastonbury? An Oasis reunion could be on the horizon after frontman Liam Gallagher tweeted the letters of the band's name over the course of a few hours on Thursday evening (April 24, 2014). 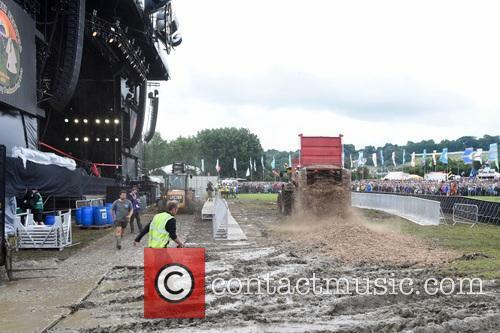 Bookmakers Paddy Power subsequently suspended betting on the band playing Glastonbury 2014. Gallagher, who tweeted O, A, S, I, S, followed it up by posting, OASIS LG. A rock star drops a new track, a pop star grieves and a film star confirms his engagement in this week's round-up. Nice Work, 'Noah': Darren Aronofsky's latest epic, Noah, was released last weekend and managed to triumph at its debut box office with $44 million, despite all the negative publicity regarding religious condemnation and middling reviews. Starring Russell Crowe, Jennifer Connelly and Emma Watson, Noah is based on the well-known Genesis tale but is given a pump of testosterone with the Black Swan director's dramatic CGI marvel. Check out the trailer. 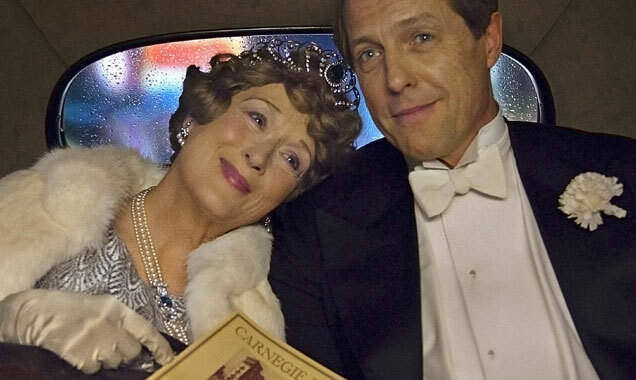 Empire Film Awards: Emma Thompson and James McAvoy were the big winners at this year's Empire Film Awards, taking home trophies in their respective acting categories for Saving Mr. Banks and Filth. Space thriller Gravity and the fantasy sequel The Hobbit: The Desolation of Smaug were the evening's most-awarded movies with Simon Pegg, Arnold Schwarzenegger, Sally Hawkins, Tom Cruise, Hugh Jackman, Steve Coogan and Margot Robbie also honoured for a smashing year in film. Find the full list of winners here. Glastonbury Line-Up Confirmed: Elbow, Kasabian, Arcade Fire, Jack White...And Who Else? 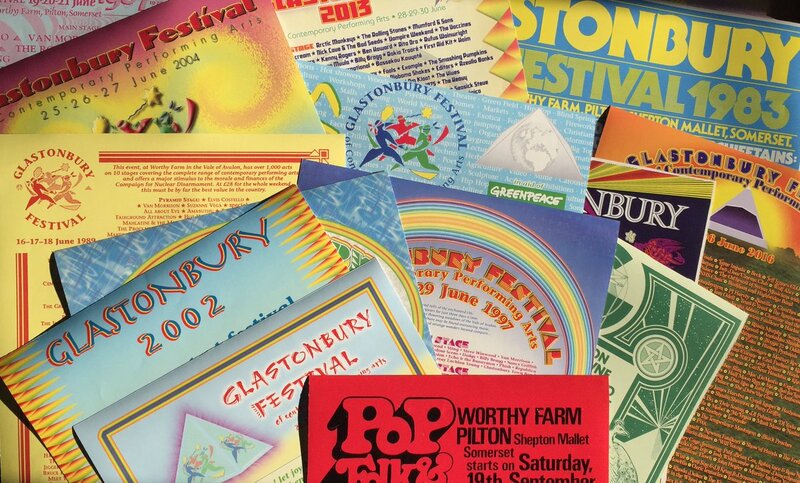 Tonnes of acts have been confirmed for the 2014 Glastonbury Festival: is your favourite band in there? 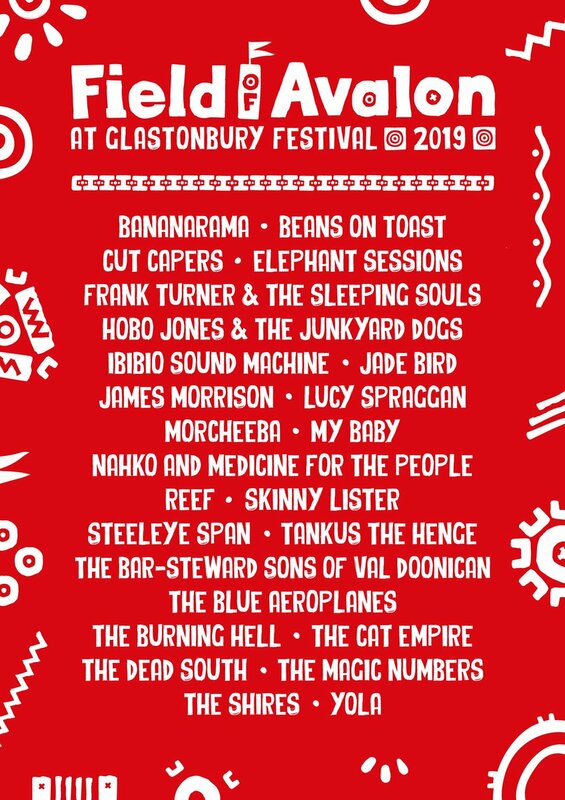 After months of speculation, the official line-up has been confirmed for the 2014 Glastonbury Festival, which will be held from the 27th to the 29th June this year. 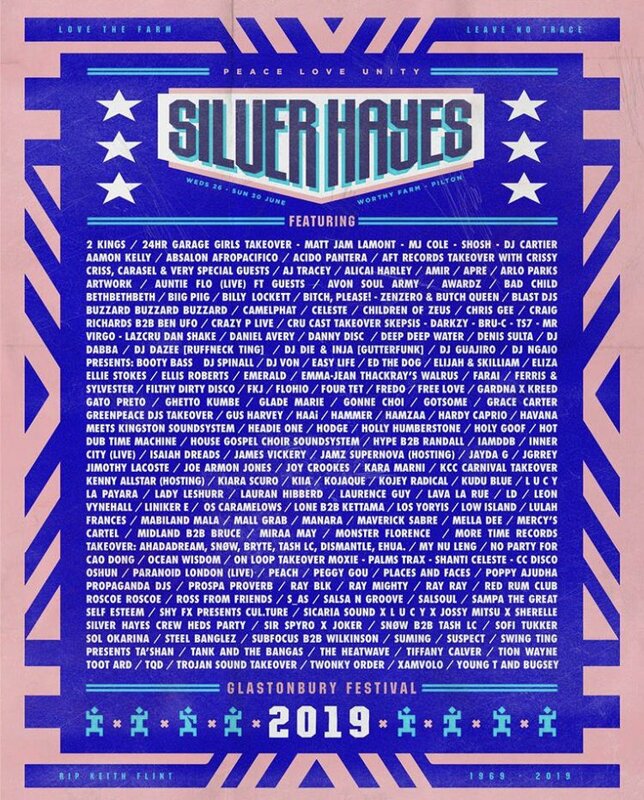 The festival tweeted this year's snazzy line-up poster which listed a tonne of previously unconfirmed acts. 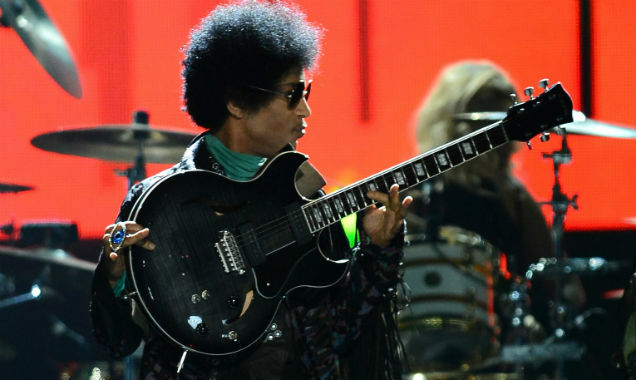 Sadly, and despite the rumours, it doesn't look like Prince will be getting funky at Glasto but the appearance of Elbow, Arcade Fire, Kasabian, The Black Keys, and Jack White should make up for the Purple One's absence. Kasabian Have Been Confirmed To Play Glastonbury Festival This Year. Joining these four big name acts will be an intriguing and eclectic mix of acts of all sorts of genres. Skrillex, De La Soul, Ms Dynamite, Rudimental, Disclosure, Lil Louis and DJ Pierre will be bringing dance music whilst Kelis, Janelle Monáe, Jurassic 5 and M.I.A will be giving the festival a hip hop flavour. 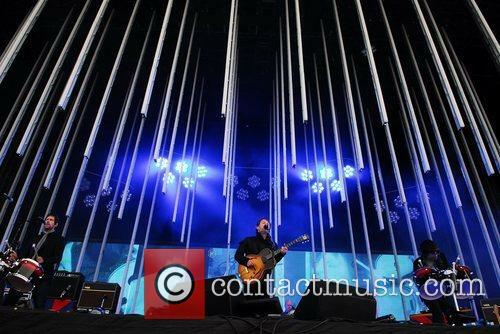 Continue reading: Glastonbury Line-Up Confirmed: Elbow, Kasabian, Arcade Fire, Jack White...And Who Else? Elbow Score No.1 Album, But Are They Headlining Glastonbury 2014? Elbow's new album 'The Take Off and Landing of Everything' held off Paloma Faith to top the UK albums chart. Elbow have topped the UK albums chart with their sixth effort, The Take Off And Landing of Everything. The record, described as a love letter to both New York and Manchester, fended off competition from Paloma Faith's A Perfect Contradiction, which debuted at number two. Pharrell Williams' GIRL was pushed down to number three. Over on the singles chart, dance anthem Tsunami (Jump) for Canadian duo DVBBS and Miami DJ is the new number one. Featuring rapper Tinie Tempah, the song was first released in September last year. This time, it took the top spot and pushed My Love by Route 94 down to second place. Pharrell's Oscar-nominated track Happy was at number three, while Pixie Lott's Nasty could only settle for number nine. 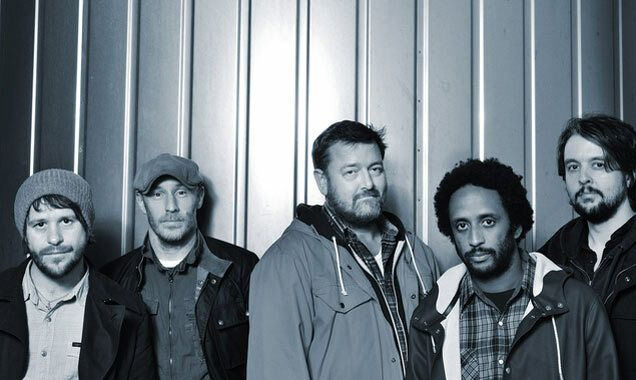 Continue reading: Elbow Score No.1 Album, But Are They Headlining Glastonbury 2014? Tyler, the Creator was arrested in Austin under suspicion of inciting a riot and has been charged with a Class A misdemeanour. He has been released after posting bail and is set to appear in Dallas tonight (15th March). The L.A. based rapper, Tyler, the Creator, was arrested on Saturday (15th March) in Austin, Texas on suspicion of inciting a riot. The 23-year-old was apprehended by police at Austin-Bergstrom International Airport and charged with Riot- Class A misdemeanour, according to the Statesman. Tyler The Creator was arrested in Austin on Saturday (15th March). 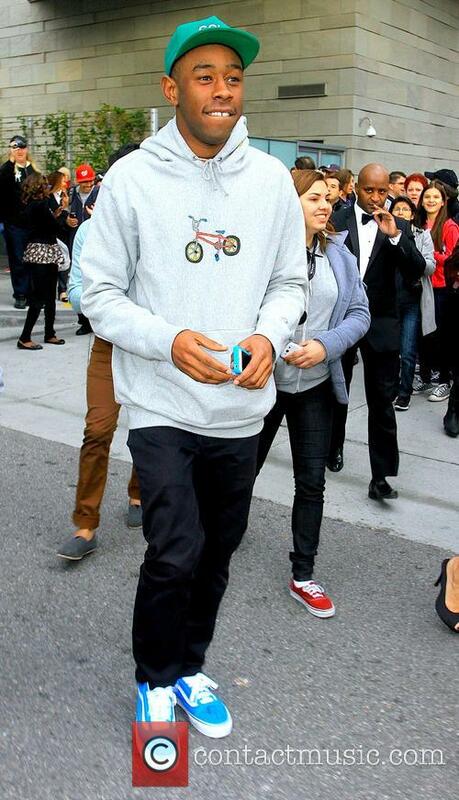 Tyler, the Creator a.k.a. Tyler Gregory Okonma alleged incited a riot whilst performing at a local entertainment venue in Austin on Thursday (13th March). According to KVUE news, Okonma encouraged those waiting to see his performance to push past the venue's employees. The venue was already at capacity and thus leading a chant of "push, push push", according to The LA Times, posed a threat to his own personal safety as well as the venue employees and attendees. Footage of the incident was released to TMZ by Austin police and show how busy the venue was prior to the forced entry of those waiting outside. Dolly Parton, Blondie, Confirmed For Glastonbury 2014, But Who's Headlining? Dolly Parton has been booked for Glastonbury 2014, as has Blondie. After we speculated back in October, Emily Eavis has confirmed that Dolly Parton will be playing Glastonbury 2014 - most likely in the 'legends slot' on Sunday - while Blondie's Debbie Harry has also stated the band has been booked for the Worthy Farm festival in June. Announcing the news to BBC 6 Music, Eavis said of the Dolly booking, "It's something we've been wanting to happen for a long time, and she finally said yes." Continue reading: Dolly Parton, Blondie, Confirmed For Glastonbury 2014, But Who's Headlining? Lily Allen Confirms Herself For Glastonbury 2014, But Who Will Headline? Lily Allen is heading to Glastonbury, but who will be joining her? Lily Allen is the first major act to confirm an appearance at Glastonbury Festival 2014. 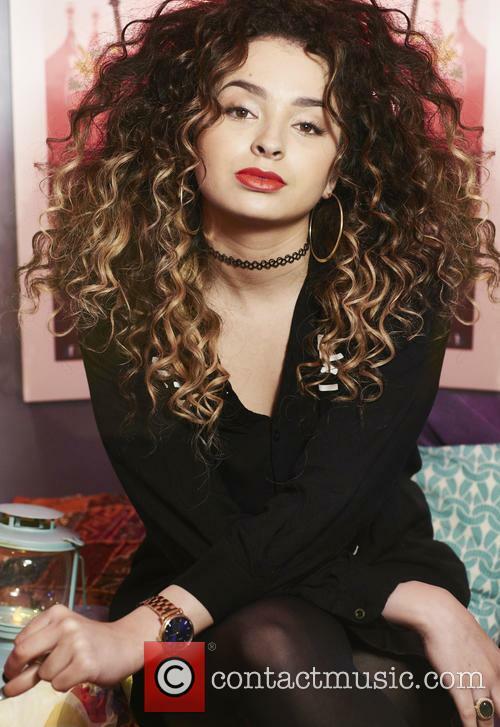 The singer, who made her comeback with new single 'Hard Out Here,' confirmed the news on Nick Grimshaw's Radio 1 Breakfast Show on Tuesday (November 19 2013). "It got confirmed yesterday," she said, "I'll be doing 16 weeks of festivals over the summer and then tour." Lily said Glastonbury would be her first "big" gig of 2014 and added: "It's the best festival, I think - that, and Fuji Rock in Japan,"
Continue reading: Lily Allen Confirms Herself For Glastonbury 2014, But Who Will Headline? Dolly Parton For Glastonbury Festival 2014? Dolly Parton looks to have time to hit Glastonbury Festival next year amidst her UK and European tour. Is legendary country star Dolly Parton in line for Glastonbury 2014? A suspicious gap in her UK June touring schedule suggests it could be a possibility. The 'Jolene' singer would make a wonderful addition to next year's Glastonbury Festival line-up and, although nothing has yet been confirmed, it looks like there's a major gap to fill on her 2014 UK summer tour. The festival is set for June 25th - 29th 2014 with bands playing, as per usual, on the last three days. Although Dolly will be hitting London's O2 Arena on Friday 27th, she has the following weekend free which would certainly open up a Glastonbury opportunity. Exciting stuff! Plus, her fellow country star and 'Islands In The Stream' collaborator Kenny Rogers hit up the Pyramid Stage at this year's event and, after a show like that, there's definitely a fresh demand for country legends. 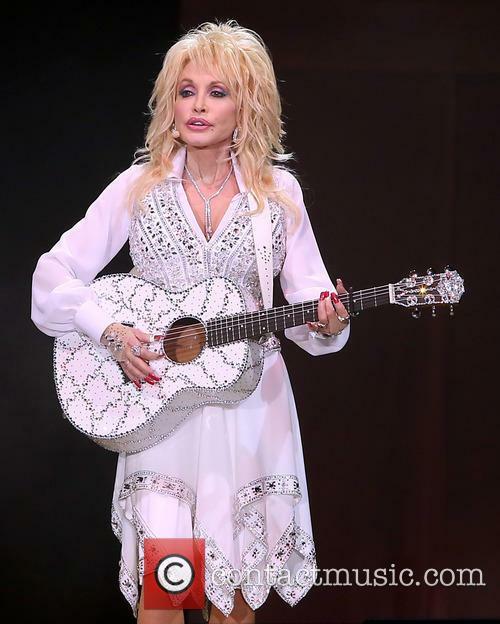 Continue reading: Dolly Parton For Glastonbury Festival 2014? 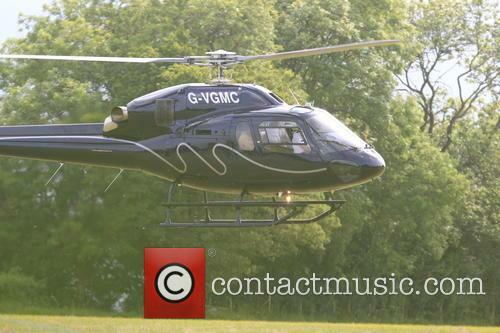 Glastonbury 2014 Tickets Sell Out In Record Time Of Just 1.5 Hours! Glastonbury Festival came back with a bang this year following a one-year hiatus in 2012 due in part to the London 2012 Olympics. The return of Somerset's most famous summer event was such a success that people are clearly awaiting 2014's annual gathering at Worthy Farm more eagerly than ever before, as all of the 120,000 tickets made available today sold out in record time. It took only one hour and twenty-seven minutes for Glasto 2014 to sell out completely, shattering previous records. 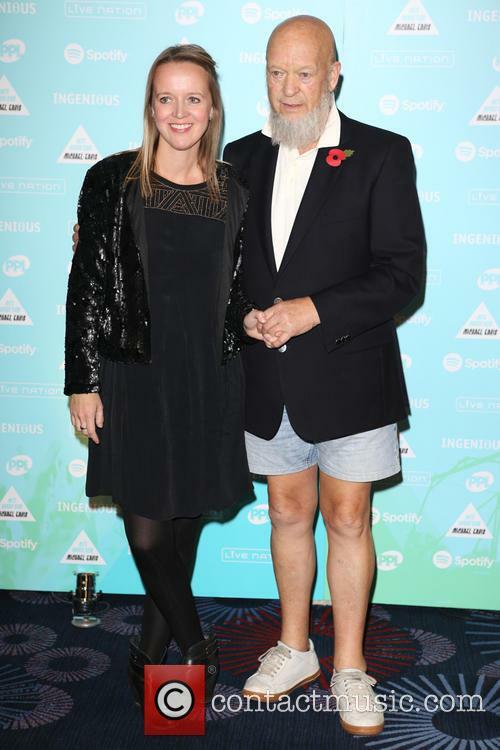 The incredible reception afforded to the festival resulted in the festival organisers Michael and Emily Eavis being "blown away" and admitting that they were "genuinely sorry" for the many who were just that little bit too late in securing their ticket for next year's festivities. The two posted a joint statement on to the Glastonbury Twitter page issuing their condolences to those who failed in their attempts to get a ticket, with many an angry tweeter using it as a chance to voice their frustrations with the "unfair" and "fixed" booking system. Ticket company See Tickets were also forced to apologise for any inconvenience caused when their servers crashed, rendering the site useless for about thirty minutes, causing some to miss out on tickets. The site, which was serving as the official ticket retailer for the festival, admitted to having a "very difficult half an hour" whilst it struggled to cope when as many as 3000 tickets were sold per-minute. Continue reading: Glastonbury 2014 Tickets Sell Out In Record Time Of Just 1.5 Hours! Glastonbury 2014 Headliners Are First-Timers, Fleetwood Mac, Pearl Jam, Depeche Mode? Who will headline Glastonbury 2014? We think we have an idea. Glastonbury Festival boss Michael Eavis has revealed that he has more or less signed the headliners for 2014, teasing that neither act has played the historical music gathering in the past. 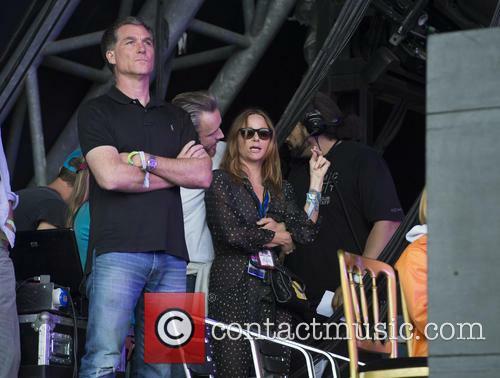 In an interview with NME, Eavis explained, "Next year's headliners are more or less in place. They're three bands who haven't played Glastonbury, and that's important." Though the article sent the internet into frenzy with speculation over Eavis's dream headliners Prince and Madonna, the emphasis on the word 'band' appears to suggest the acts will be more conventional four or five-pieces, perhaps in the rock genre. Of course, both acts travel with accomplished bands - Prince particularly - though Eavis's comments leaves those possibilities in doubt - for this writer at least. 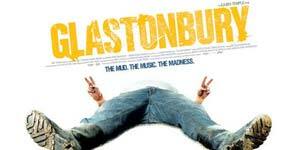 Continue reading: Glastonbury 2014 Headliners Are First-Timers, Fleetwood Mac, Pearl Jam, Depeche Mode? Did Beyonce Ban Channel 4 From Broadcasting V Festival Performance? 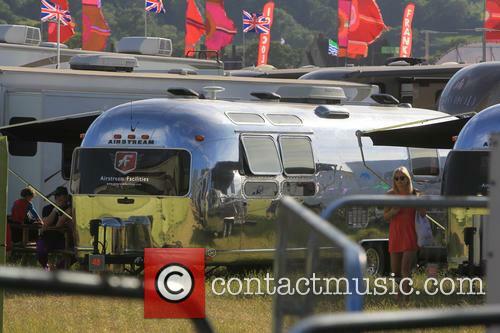 Did Beyonce refuse Channel 4 permission to broadcast her V Festival set? After 2011's triumphant headlining set at Glastonbury, Beyonce Knowles returned to the British festival calendar to top the bill at V Festival over the weekend. The problem is that Glastonbury is chilled out, and nice weather makes everyone more chilled out and happy to accept pretty much anything. V Festival is that little bit drunker, that little bit rowdier and in Chemsford on Saturday, that little bit wetter. According to The Metro, the singer left fans sodden in the rain by arriving on-stage 20 minutes later, "Boo-yonce! Crowds ain't happy she is late at V Festival! 20mins in the rain and counting," tweeted one unhappy reveller. Continue reading: Did Beyonce Ban Channel 4 From Broadcasting V Festival Performance? Mumford & Sons closed out the Glastonbury Festival, but preferred the Olympic Park crowd. Mumford & Sons headlined a one-day festival at London's Queen Elizabeth Olympic Park last night (July 6, 2013) playing to a 60,000 strong hometown crowd. 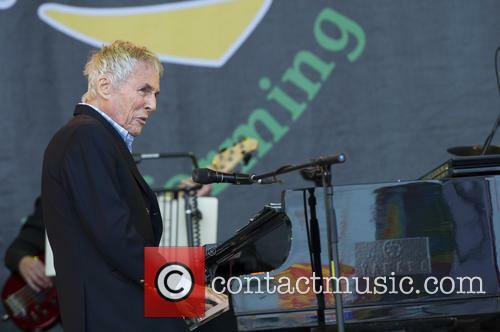 The band closed out the Pyramid Stage at the Glastonbury Festival on Sunday, though appeared to slight the Pilton crowd in Stratford. "Were any of you lot at Glastonbury last weekend? It was a very pleasant experience... [but] you guys are sh*t loads better than that gig ever was," said keyboard player Ben Lovett, according to NME.com, "Probably because you haven't done as many drugs as the people there," added banjo player Winston Marshall. Arriving on-stage at 8.45pm, the band began with the title track from their sophomore album Babel. "We can't tell you how happy we are to be home. Thanks so much for coming tonight," said frontman Marcus Mumford. Este Haim, bassist for LA band, Haim, began to feel unwell during their early slot on the Friday of Glastonbury Festival. One of the three Haim sisters fell ill whilst on the Pyramid Stage today at Glastonbury Festival (28th June) - Este Haim began falling ill in the middle of the first of the band's two performances this weekend, blaming diabetes. Despite feeling a little off, the bassist began to play the rest of the songs on a stool and explained after their set: "Sometimes diabetes gets the better of you." According to DIY, Este declared to the crowd mid-set: "I'm not going to let this get the better of me, especially when there are so many beautiful people here. If I pass out, will someone give me mouth to mouth?" After she recovered, she declared it to be "the best day of [her] life." 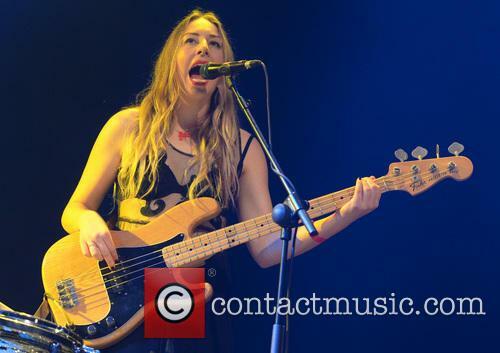 Bassist Este Haim In Action. Este is the eldest of the three sisters in the band from California's San Fernando valley- with Alana and Danielle Haim, and also including drummer Dash Hutton. She has become famous to her extreme facial expressions she pulls whilst playing bass guitar, with her "bassface" even having a Twitter account dedicated to it. She holds a degree in Ethnomusicology, revealing to the London Evening Standard that she finished the five year degree in just two, and plays guitar as well as bass. Schoolboy Blues: Mick Jagger Wanted To Be A Teacher! During an interview on the 'Today' programme, Mick Jagger revealed he thought about becoming a teacher, a journalist and a politician before 'The Rolling Stones' were formed. Mick Jagger considered being a teacher, a politician and a journalist. 'Start Me Up' singer revealed his early career plans during a televised interview. Speaking on the Today programme, The Rolling Stones singer said a career as "a schoolteacher would have been very gratifying". Had the singer gone on to be a teacher he would have kept his families' tradition as both his father and grandfather were teachers. Teaching is surprisingly more rock and roll than you'd expect. Sting was a teacher before he became a hit in the 80's, as was Sheryl Crow, Gene Simmons, Brian May, Paul Simon and Art Garfunkel. 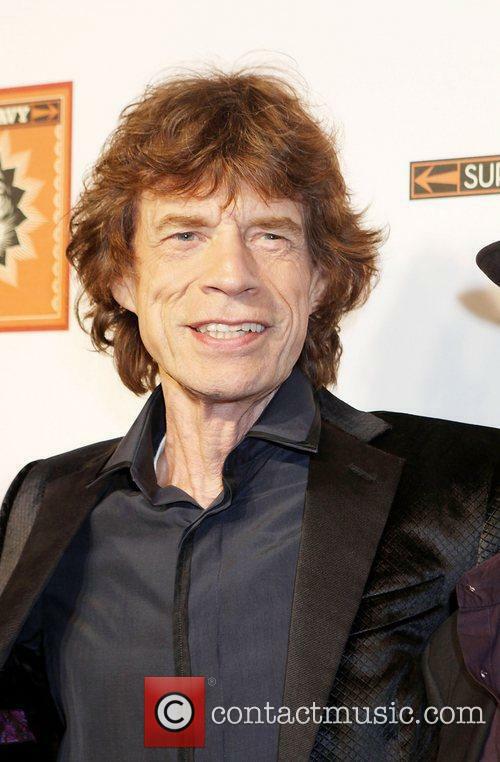 Continue reading: Schoolboy Blues: Mick Jagger Wanted To Be A Teacher! Liam Gallagher and Beady Eye took to the stage at Glastonbury at 11am, though still drew a sizable crowd. 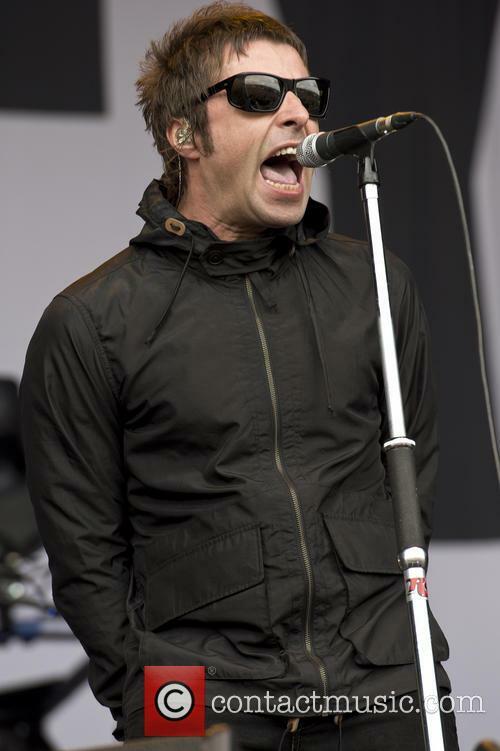 Liam Gallagher and his band Beady Eye played an unbilled set at the Glastonbury Festival on Friday morning (June 28, 2013), officially opening three days of music set to be headlined by Arctic Monkeys, The Rolling Stones and Mumford & Sons. The show took place on The Other Stage at the rather early time of 11am, though thousands made the journey from their soaked tents to watch the former Oasis man. Though Beady Eye's show did not feature in the programme, frotman Liam has dropped a major hint earlier in the week, tweeting, "11am Friday - BE there or BE square.LG," while photographs showed the band travelling to Glastonbury on the train. Gallagher had always vowed never to return to the Pilton site following his former band's headlining set in 2004, telling The Sun, "The sound is s*** and really quiet. You can hear the crowd talking while you're playing.It's like Bond Street with mud, with loads of celebrities walking around in their boots and umbrellas. I'm not having it." 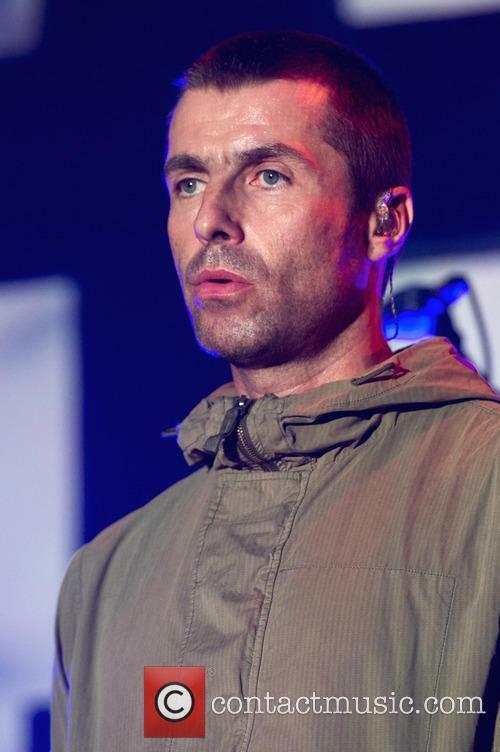 Liam Gallagher was rumoured to be playing Glastonbury, and duly opened the festival on Friday morning. Liam Gallagher was given the enviable job of opening the 2013 Glastonbury Festival with a surprise set on The Other Stage on Friday morning (June 28, 2013). 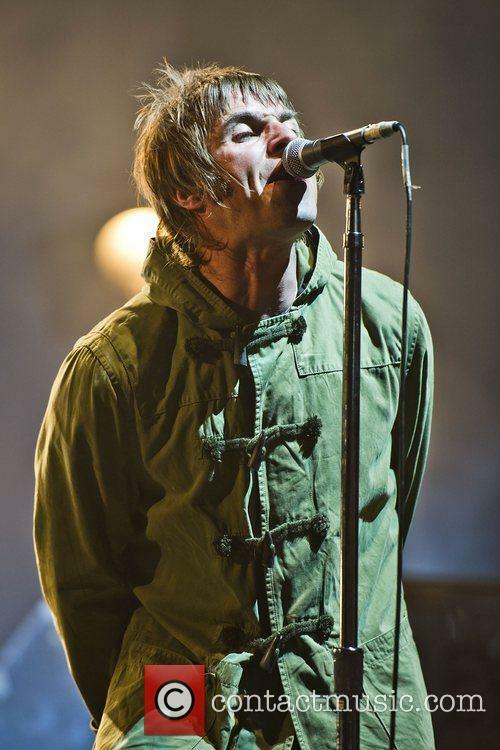 The singer, who aired his dismay for the festival following his former band Oasis' set in 2004, arrived on-stage and immediately launched into Flick of the Finger, a recent single for Beady Eye. The cloudy weather and early start did nothing to deter the famous Mancunian, who was on typically brash form. "It's never too early for a bit of Rock'n'Roll aggro, is it?" asked Gallagher as his new band launched into Morning Glory, an Oasis hit written by his brother Noel Gallagher. Will Daft Punk make a surprise appearance? Daft Punk might have the most successful single of the year, having recently hit the billion mark on sales for Get Lucky, but the band remains as mysterious as ever. Case in point: Glastonbury. Thomas Bangalter and Guy-Manuel de Homem-Christo have not announced any tour dates following the release of Random Access Memories. Surely that’s impossible though, they have to promote the album somehow. This seems to match up with bookies’ line of reasoning. Currently, the odds for the duo making a surprise appearance at the festival (which kicks off today) are set at 6/4, according to NME. For reference, the odds for Beady Eye (5/1), David Bowie (6/1) and Queens of the Stone Age (10/1) are also pretty high. It's raining, it's pouring: Glastonbury Festival's weather forecast predicts an overcast weekend with hopefully no more of Thursday's rain. Many Glasto goers woke up to the pitter patter of rain on canvas this morning as Wednesday's warm, humid weather well and truly dissolved into rain. By the Thursday evening, the site was drenched - what had initially been forecast as a "short sharp shower turned into an all-day deluge," according to the BBC. And where there's rain, there's mud: big sticky, gloopy, welly-stealing piles of it. This didn't deter any of the 118,000 ticket holders already onsite, with revellers retreating to indoor tents or embracing the wet weather and sludge with gusto by making mud slides. As the main festival wasn't even fully underway by then, we can't say we'd like to be sharing their tent this weekend - let's hope they've brought some babywipes! 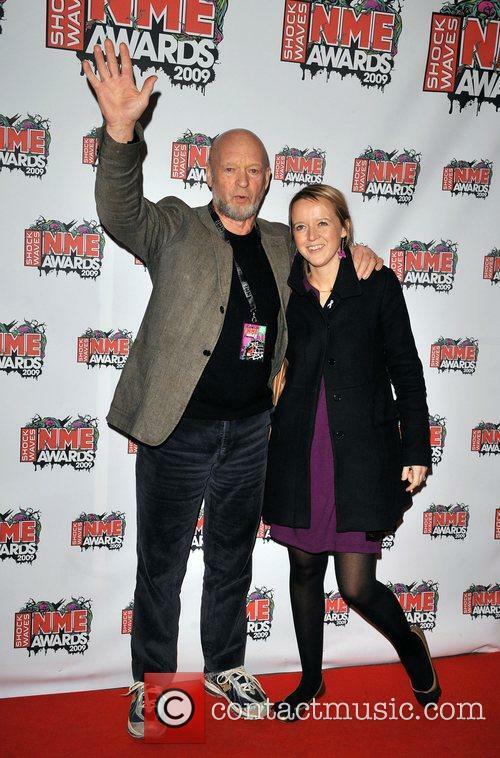 Glastonbury Festival Organisers Michael & Daughter Emily Eavis. Unlike everywhere else in the country, the rest of the weekend in the South-West is set to be mild, but not exactly toasty, with mean temperatures of 18°C combined with average windspeeds of about 15mph: so that little weather forecaster's cartoon of a grey cloud will pretty much sum up the weekend. 2009's extreme weather saw torrential downpours and thunderstorms lighting up the valley but was followed by 2010's glorious sunshine, which caused sunstroke and dust problems. Punters have a whole weekend of musical, comical and performance joy ahead of them to distract them from any weather woes though. Saturday night will be headlined by The Rolling Stones who have described the Glastonbury headline slot as an experience they were "destined" for, with organisers Michael and Emily Eavis "thrilled" to have the legendary Stones perform. Glastonbury Festival will be returning after a year off this weekend (June 28 - 30) and after a year away it looks as though at least one classic Glasto tradition will be void from this year's itinerary; the rain. Weather forecasts are indicating that in a much-needed break from the norm, the weather at this years Glastonbury will actually be good for a change and the sun will shine on in Somerset for the full stretch festivities. BBC Weather is predicting an overall mix of sun and cloud over the course of the week, with a few chances of rain cropping up at points. Of course this is the British summer, and the British summer is never complete without buckets of rain at the worst possible time. Forecasters are predicting that the rainfall will only really be a problem on Tuesday and Thursday, which might make setting up the festival a living hell for organisers, and the same for earlier-comers on Thurs, but hopefully the sun will pull through and things will go off without too much disruption. Temperature wise, weather experts are predicting an average in the mid-teens, with highs of 24C on the Sunday, when the headliners are Mumford And Sons. Also playing headlining slots during the weekend are the Arctic Monkey and Rolling Stones, who are making their first ever appearance at the festival in it's many years as a British summer institute - not that you'll be able to see them unless you have tickets for the festival that is. Arctic Monkeys will headline the Glastonbury Festival later this month. Arctic Monkeys have returned with 'Do I Wanna Know,' the first single to be taken from their fifth studio album. The new track, first played at a concert in California last month and subsequently used as a set opener during the bands Scandinavian shows, is now available to download on iTunes. A new video for the track has also rolled out online. Featuring a thudding beat throughout and a rip-roaring Queens of the Stone Age-esque chorus, Do I Wanna Know is certainly an interesting track, if a little unremarkable. The band have also premiered new song 'Mad Sounds' at the Hultsfred Festival in Sweden on Friday (June 14, 2013) and again at the Danish NorthSide festival on Sunday. Both new songs re likely to feature on the band's forthcoming new album. The Dalai Lama's famous 'Gyuto Monks of Tibet' are excited to play Somerset's Glastonbury festival after signing to Decca/Universal records. Festival goers may turn to hallucinogenic drugs or alcohol for mind altering experiences this summer but a peaceful group of Buddhist monks will help you seek enlightenment through meditation. To coincide with the 100th anniversary of the Tibetan Declaration of Independence, the Dalai Lama's monks will make an appearance at Glastonbury, bringing their Buddhist choral chanting to the fields of Somerset. On June 27th (the Thursday), the Grammy-nominated group will perform and carry out Buddhist rituals by creating a Sand Mandala - a ceremony that symbolises the transitory nature of material goods - in honour of their special anniversary's coincidence with the world-renowned arts and music festival. If you’re still after a ticket for this year’s Glastonbury Festival, think again. The final batch of tickets went on sale today at 9am and sold out in just over an hour, The Guardian reports. The tickets on sale today were all returns from people that had previously purchased a ticket but were no longer able to attend. 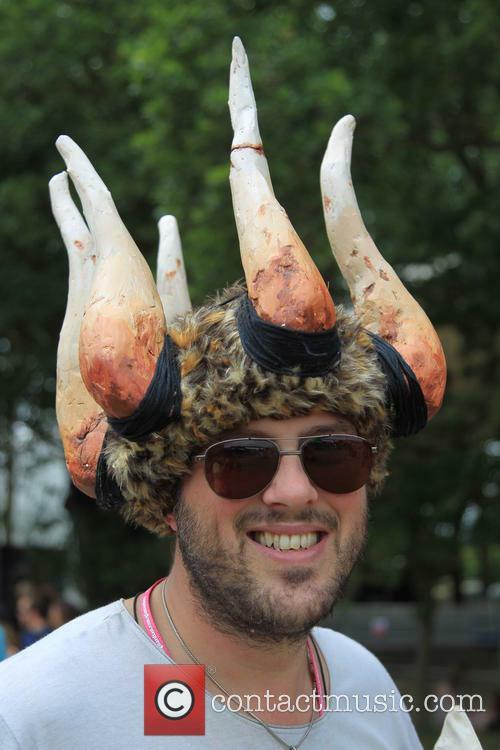 Such is the enduring hype surrounding the festival, the few remaining chances to go were all snapped up. With the line-up for the festival now announced, those lucky people with tickets now know exactly who it is that will be entertaining them for the weekend. Headliners over the three main days will be Arctic Monkeys, Rolling Stones and Mumford & Sons. Remarkably, it’s the first time that the Rolling Stones have ever appeared at the festival, in their 50 year career. They will be joined by a vast array of band, comedians, theatre acts and street entertainers. Amongst the best-known musical acts on the bill are Dizzee Rascal, Nick Cave and the Bad Seeds, Portishead and Rita Ora. 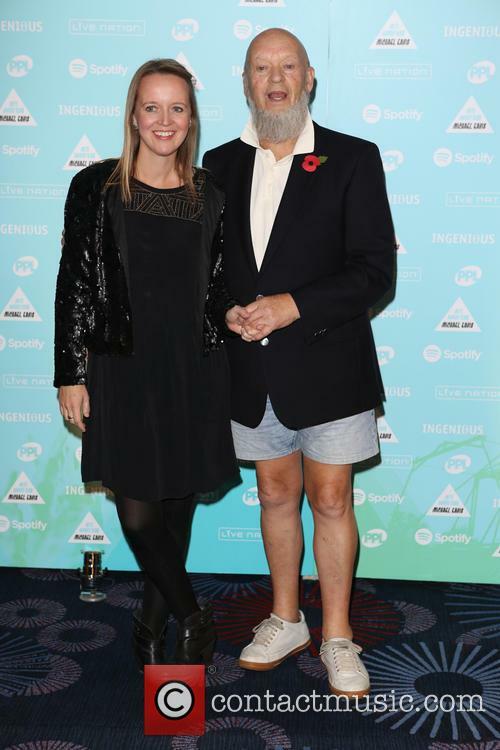 Emily Eavis, one of the festival organisers, apologised to anyone that was disappointed by not being able to get a ticket. She asked people to email ticketing@glastonburyfestivals.co.uk with any feedback of the ticket purchasing (or not) experience. The festival will take place this year between June 28-30. For everyone shelling out £200+ for a Glastonbury ticket, you can pretty much be sure that their dreams include winning the lottery or playing the Pyramid Stage. But it turns out, not even all rock stars want to play the festival. And we’re not talking any rock stars, but the Rolling Stones – this year’s headliners of the now infamous stage. Alright, not all of them, just Charlie Watts, the drummer. “I don't want to do it,” moans Charlie in an interview with The Guardian. “Everyone else does. I don't like playing outdoors, and I certainly don't like festivals. I've always thought they're nothing to do with playing. Playing is what I'm doing at the weekend. That's how I was brought up. But that's me, personally. When you're a band … you do anything and everything. But Glastonbury, it's old hat really. I never liked the hippy thing to start with. It's not what I'd like to do for a weekend, I can tell you.” This is all great news for those you have actually shelled out the pricey cover fee for a ticket. Now they know the drummer of the headline act would rather be at home drinking tea. “The worst thing playing outdoors is when the wind blows, if you're a drummer, because the cymbals move … it really is hard to play then,” adds Charlie, giving a musical reason why outdoor playing isn’t the best. An additional 20,000 tickets for this year's Glastonbury Festival sold out quickly on Sunday morning, to the delight of successful music fans who missed out in the main sale three weeks ago. Today's tickets constituted those from the April 1st sale which were returned or where payment for the £145 tickets failed to process properly. 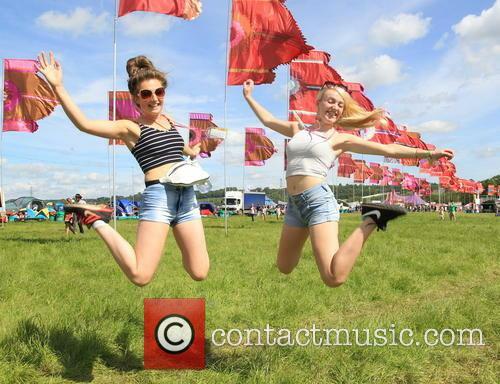 A total of 137,500 of the festival's 177,000 maximum capacity were sold three weeks ago using organiser Michael Eavis' new registration system, designed to beat ticket touts. Previous ticket sales for the festival have been blighted by tickets appearing on internet auction websites soon after the annual sell-out is completed. This year 400,000 applicants passed through the festival's online pre-registration process, which required them to provide photo identification. Most of those will have failed to get tickets to the extremely popular festival, which returns after taking a break in 2006. Headline acts already confirmed for this year's event include the Arctic Monkeys, The Killers, The Who and Dame Shirley Bassey. 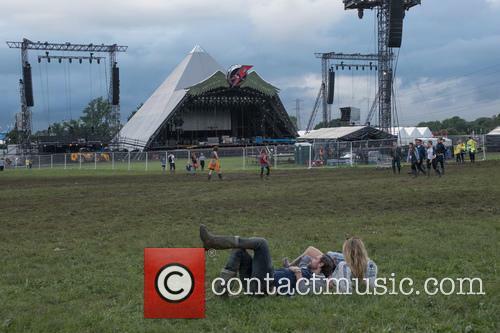 Could Glastonbury Be Moving To London?